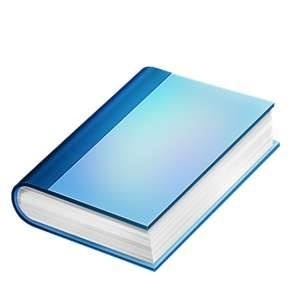 We normally have a range of handbooks obtained from the purchase of collections. These we are offering below. country they are to be shipped to. In order to purchase a handbook in the listing below just add the item required via the 'Reserve' button. When your order is complete then forward to us via the link on that page. We will then hold the book/books for you and confirm the postage costs. At this point you can then decide whether you wish to continue with the transaction or to cancel it. IT IS NOT POSSIBLE TO ADD COVERS AND STAMPS TO THE LITERATURE ORDER FORM. Catagories can be selected under the COUNTRY heading in the top panel. All books are SECONDHAND unless stated otherwise. Please order using the 'Reserve' button and then forward the order via the link on that page. The following items are for direct sale, sorted by newest listed first. RHODESIA - Frontier Life in NW Rhodesia by Gordon Shepherd. 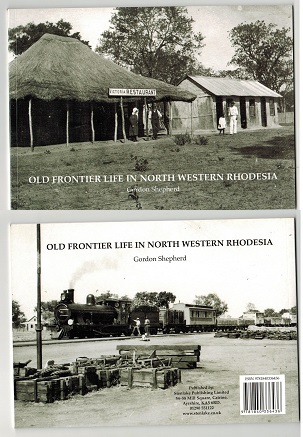 Old Frontier Life in North West Rhodesia by Gordon Shepeard. A lovely collection of photographs of life in Rhodesia around the turn of the century. 48 pages. Non philatelic. GOLD COAST - The Postal History Of Gold Coast by Edward Proud. Pub 1995/528 pages. 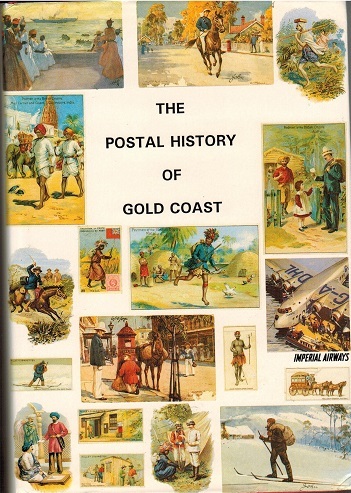 The Postal History Of Gold Coast by Edward Proud. Pub 1995/528 pages. NEW ZEALAND - 'The Postage Stamps Of New Zealand' Volume V by Collins. Include Pacific area. 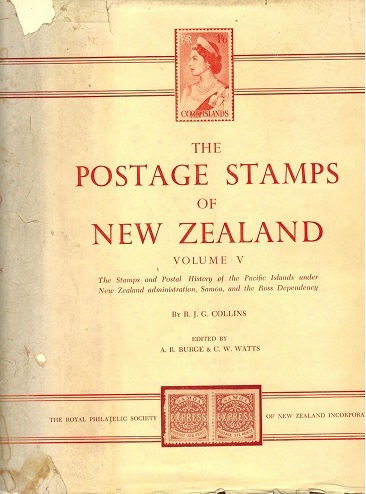 The Postage Stamps of New Zealand - Volume V by R.J.G.Collins. Published 1967. This being number 12 of just 1,00 copies printed and is signed by A.R.Burge and C.W. Watts who edited the volume. Covers the Pacific Islands administered by New Zealand and also Samoa. A superb work. 818 pages plus coloured plates. Very heavy. AUSTRALIA (Western Australia) - Date Stamps of Western Australia by J.Dzelme. 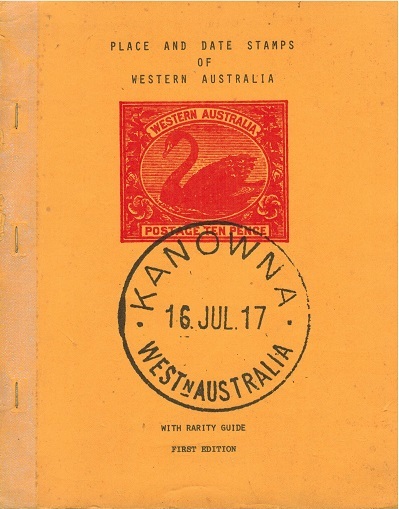 Place and Date Stamps of Western Australia with rarity guide. 1st Edition published in 1976 by John Dzelme. 134 pages. (One page missing but scan copy included). Very useful handbook. ROYAL COLLECTION - By Sir John Wilson. 1952 red cloth version. 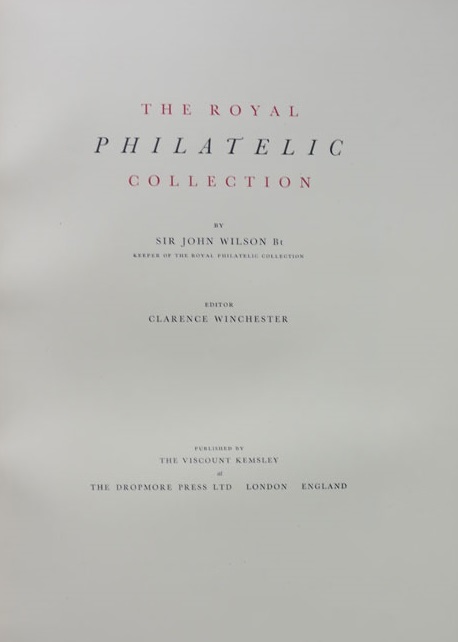 ROYAL COLLECTION - by Sir John Wilson published in 1952 by the Dropmore Press and originally sold for the outstanding price of 60 guineas. Extremely detailed on the plates used by the colonies and housed in the Royal Collection. Well illustrated with some incredible quality plates in full colour. Originally printed in full Moroccan red leather this edition is the 'poor mans' copy in a red cloth carded cover version but is in very fine condition. A truly sumptuous work. Very, very heavy. PAPUA - The Stamps Of Papua by A.A.Rosenblum. 53 pages. 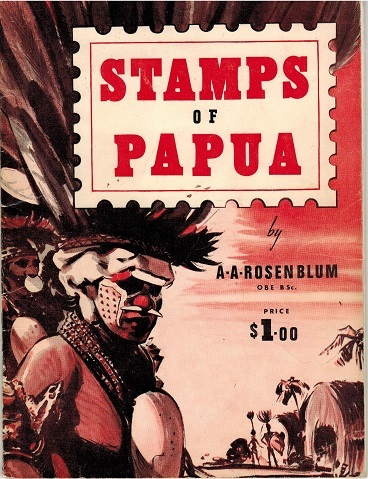 The Stamps Of Papua by A.A.Rosenblum. 53 pages. Very detailed. TASMANIA - PHILATELIC SOCIETY handbook on Tasmania by Bassett Hull. Pub 1890 with plates. 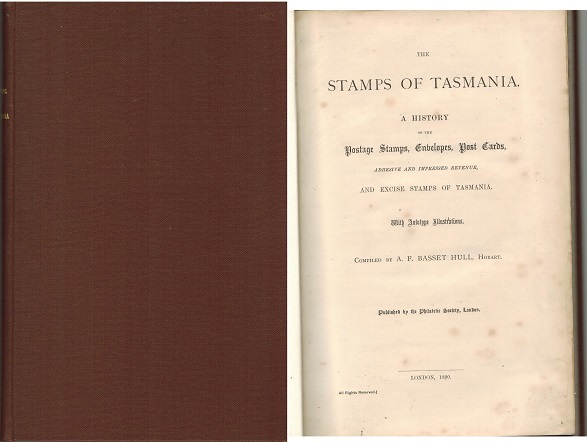 The Postage Stamps, envelopes, wrappers, postcards and telegraph stamps of Tasmania by A.F.Basset Hull. Published by the Philatelic Society of London in 1890. Only 300 editions were printed. Bound edition and rare. 136 pages plus pull out map plus plates. 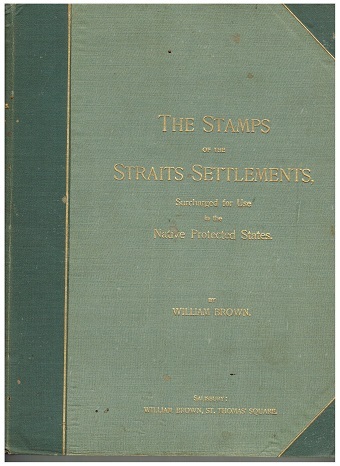 STRAITS SETTLEMENTS - The Straits Settlements by William Brown. Pub 1894. The Stamps of the Straits Settlements surcharged for use in the Native Protected States. By William Brown. Published in 1894. This edition being leather bound and numbered 196. Complete but with worm damage at the back cover affecting some pages. A scarce edition however. 108 pages. 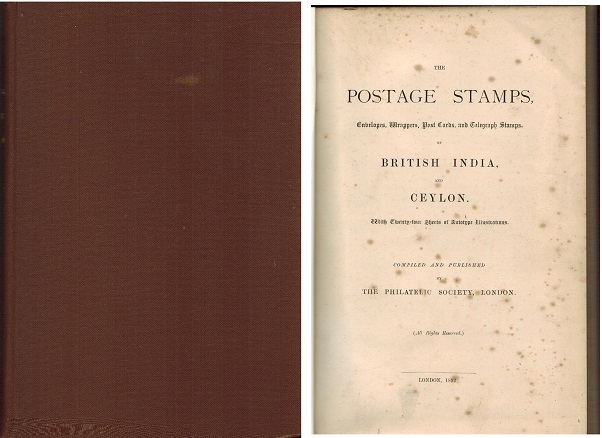 CELON & INDIA - PHILATELIC SOCIETY handbook on British India and Ceylon Pub 1892 with plates. The Postage Stamps, envelopes, wrappers, postcards and telegraph stamps of British India and Ceylon published by the Philatelic Society of London in 1892. Only 500 editions were printed. Bound edition and rare. 100 pages plus addenda plus plates. 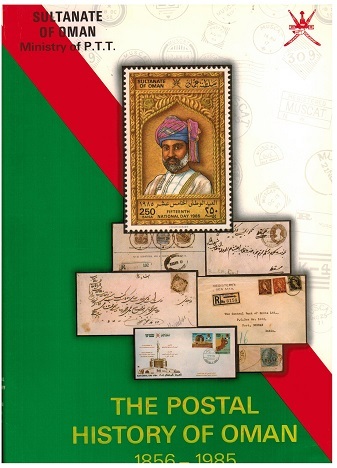 OMAN - The Postal History of Oman 1856-1985. 1st edition published by Oman Post in 1985. 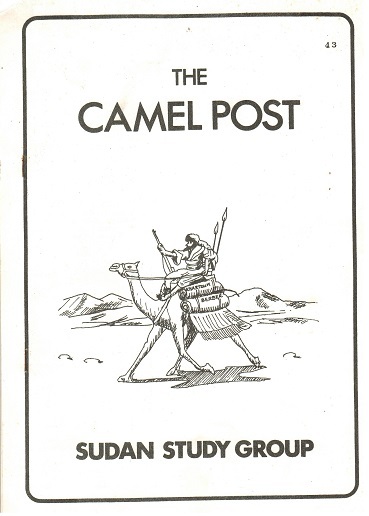 The Postal History of Oman 1856-1985. 1st edition published by Oman Post in 1985 and signed byAhmad Bin Suwaidan Al_Bulushi (Minister Of Posts). 140 pages plus introductions. Written in English and Arabic and highly coloured throughout. Complete with carded sleeve. PAPUA - The Postal History of British New Guinea and Papua 1885-1942 by Roger Lee. 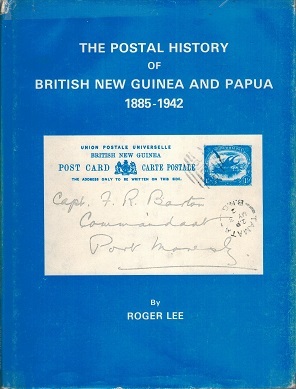 The Postal History of British New Guinea and Papua 1885-1942 by Roger Lee. Pub 1993/111 pages. A very difficult book to find. 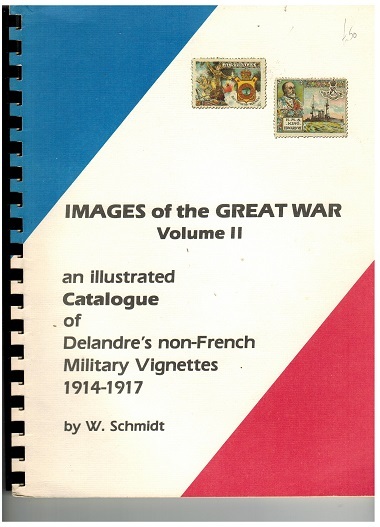 MILITARY VIGNETTES - The Images of the Great War Volume 2 catalogue of Delandres. MILITARY VIGNETTES - The Images of the Great War Volume 2 catalogue of Delandres 'Non-French' Military Vignettes from 1914-1917 by W.Schmidt. Volume 2 covers British Colonial issues. ASCENSION - The John Barefoot collection of Ascension sold by Warwick and Warwick. 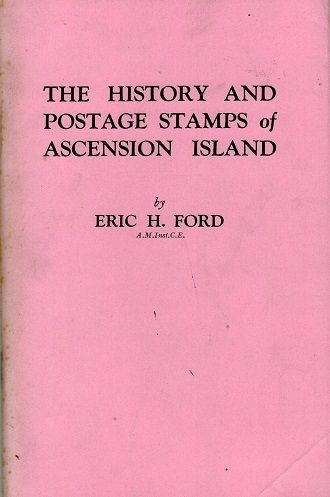 ASCENSION - The History and Postage Stamps of Ascension by Eric Ford. The History and Postage Stamps of Ascension Island by Eric Ford. Reprint 1971/68 pages. 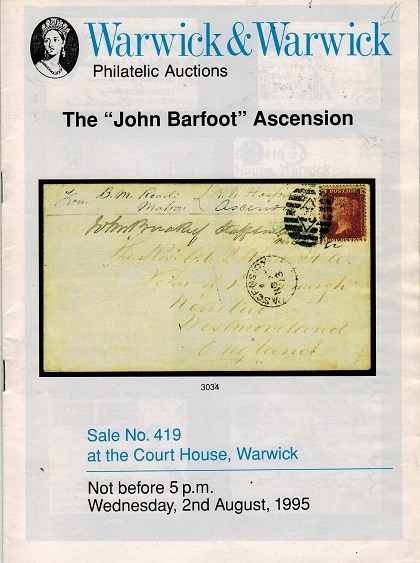 ASCENSION - Mails from Ascension 1817-1901 by John Attwood. 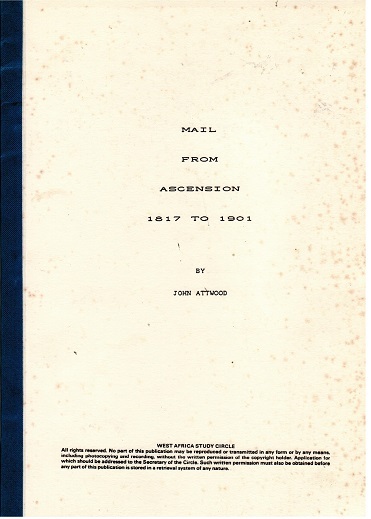 Mails from Ascension 1817 to 1901 by John Attwood. (Some light tone spots on cover). Pub by the WASC. ASCENSION - Ascension at War. Non philatelic but very useful and interesting. Ascension at War. Published by J.A.Cant of the 'Historical Society'. Non philatelic but full of interesting information on flights etc of the 2nd World War. Xerox'd 34 pages. BAHAMAS - The Bahamas by Ludington. 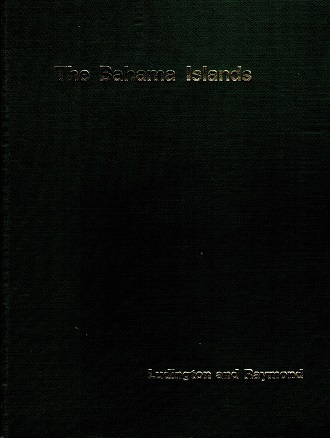 The Bahamas Islands by Ludington and Raymond. Pub 1968/66 pages. BERMUDA - Bermuda King George VI High Values by Robert W Dickgeiser. Bermuda King George VI High Values by Robert W Dickgeiser. Pub1980/59 pages with additional plates. BARBADOS - Barbados Post Office Markings to 1981 by George L.W.Clarke, Radford and Cave. Barbados Post Office Markings to 1981 by George L.W.Clarke, Radford and Cave. Pub 1882/69 pages. BARBADOS - The Stamps of Barbados by Edmund A Bayley.Pub 1989/405 pages. 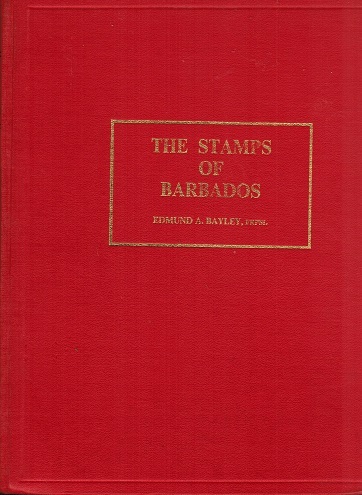 The Stamps of Barbados by Edmund A Bayley.Pub 1989/405 pages. Number 524 of a limited 1000 copies. 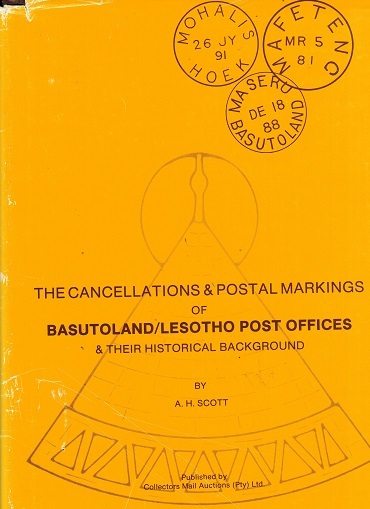 BASUTOLAND - The Cancellations and Postal Markings of Basutoland by A.H.Scott. The Cancellations and Postal Markings of Basutoland by A.H.Scott. Pub1980/294 pages. 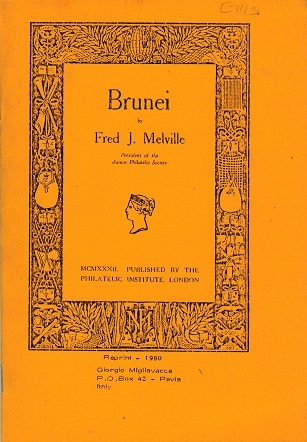 BRUNEI - Brunei by Fred Melville. 1980 reprint/37 pages. Brunei by Fred Melville. 1980 reprint/37 pages. 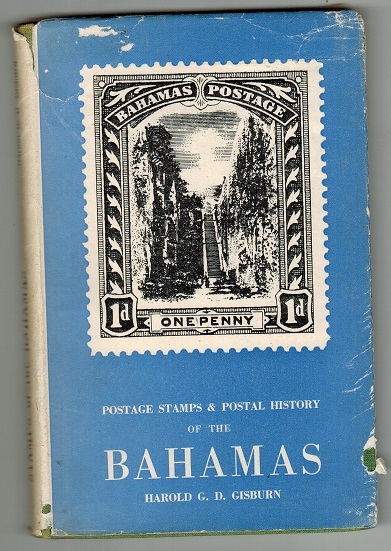 BAHAMAS - The Postage Stamps and Postal History of The Bahamas by Harold G.D.Gisburn. The Postage Stamps and Postal History of The Bahamas by Harold G.D.Gisburn. Pub 1950/144 pages. TRANSJORDAN - The Philatelic History of Jordan by K.C.R.Souan. Pub 1977/144 pages. The Philatelic History of Jordan by K.C.R.Souan. Pub 1977/144 pages. 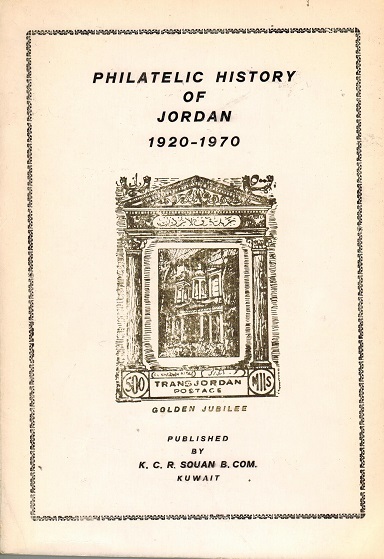 TRANSJORDAN - The Philatelic History of Jordan 1920-1970 by K.C.R.Souan. Pub 1972/306 pages. 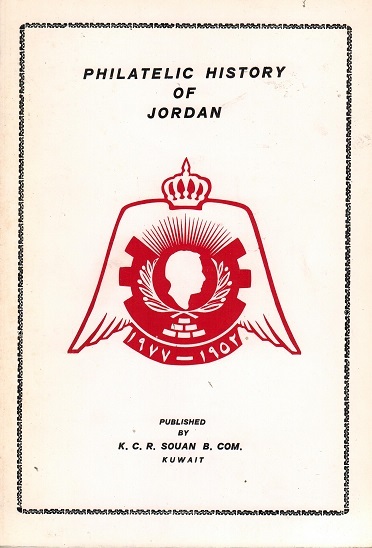 The Philatelic History of Jordan 1920-1970 by K.C.R.Souan. Pub 1972/306 pages. NORTHERN RHODESIA - The Postmarks and Postal History of Northern Rhodesia by Hal Hoyte. 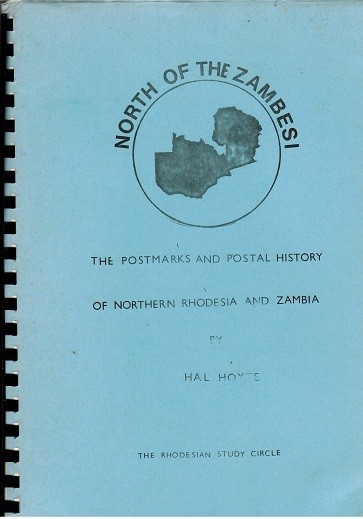 The Postmarks and Postal History of Northern Rhodesia and Zambia by Hal Hoyte. Published 1980/ 85 pages. A difficult handbook to locate. NYASALAND - The Postmarks of Nyasaland and Malawi by A.Banks and N.Roberts. 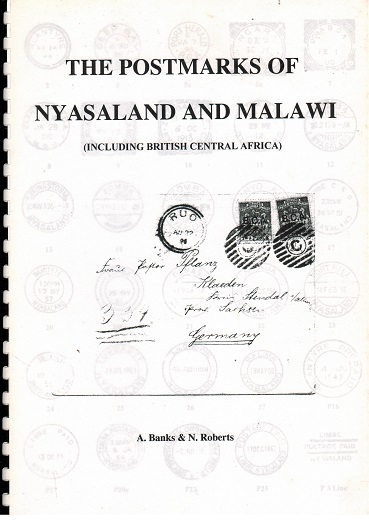 The Postmarks of Nyasaland and Malawi by A.Banks and N.Roberts. Published around 1990/102 pages. RHODESIA and NYASALAND - The Cancellations of The Rhodesia's and Nyasaland by H.C.Dann. 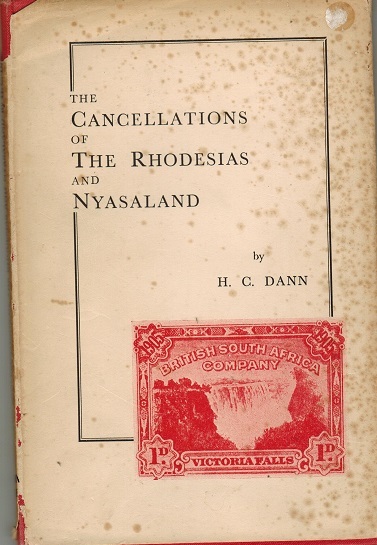 The Cancellations of The Rhodesia's and Nyasaland by H.C.Dann. Published 1950/85 pages. NYASALAND - The Postal History and Postmarks of British Central Africa by W.G.Nodder. 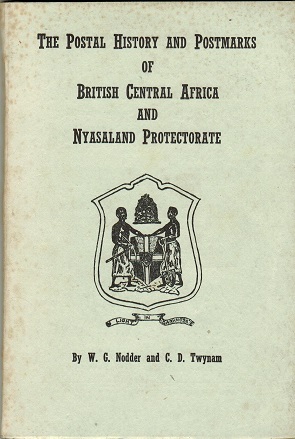 The Postal History and Postmarks of British Central Africa and Nyasaland Protectorate by W.G.Nodder and C.D.Twynam. Published 1955/105 pages. AIR MAILS - Movements Of Aircraft on Imperial Airways African Route 1931-39 by Peter Wingent. 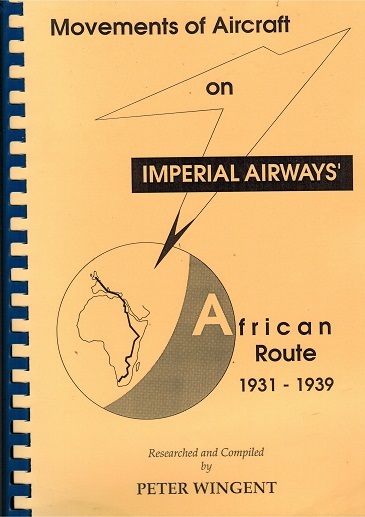 Movements Of Aircraft on Imperial Airways African Route 1931-39 by Peter Wingent. Pub 1991/ 211 pages. 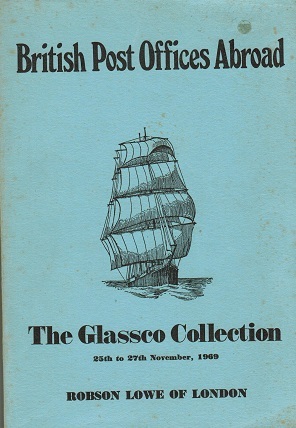 British Post Offices Abroad - The Glassco Collection. R.Lowe auction Nov 1969. British Post Offices Abroad - The Glassco Collection. A Robson Lowe auction sale of 25th - 27th November 1969. Complete with realisations. 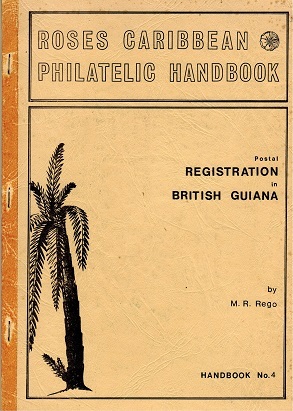 BRITISH GUIANA - The Postal Registration in British Guiana by M.R.Rego. The Postal Registration in British Guiana by M.R.Rego. Published in 1981 by the Roses Caribbean Philatelic Society. Number 170 of just 200 printed. 41 pages. 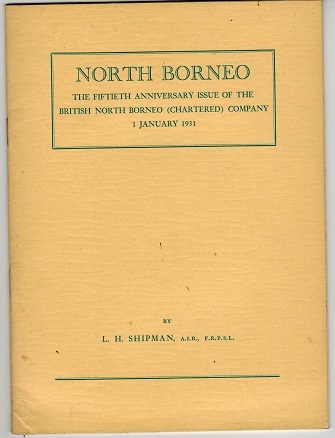 NORTH BORNEO - The 50th Anniversary issue by L.H.Shipman. Pub 1970/24 pages. The 50th Anniversary issue by L.H.Shipman. Pub 1970/24 pages. 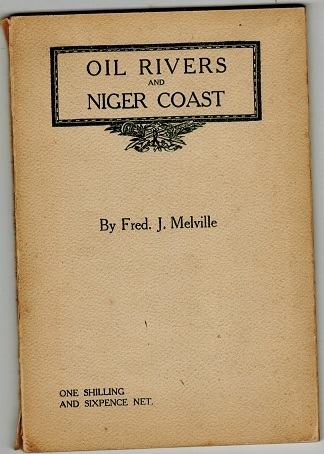 NIGER COAST - The Oil Rivers and Niger Coast by Fred Melville. 58 pages. The Oil Rivers and Niger Coast by Fred Melville. 58 pages. NIGERIA - The Nigeria Study Circle circulars from 1980. 164 pages in ringed binder. The Nigeria Study Circle circulars from around 1980. Printed 'letraset' covering Niger Coast, Nigeria, Cameroons and Southern Nigeria. Issued by the Society which no longer exists. 164 double sided pages housed in large 'A4' blue ringed binder. Very difficult to find from this exsint society. Lots of very useful information. IRELAND - Old Irish Postage stamps and Franks by F.W.Meredith. 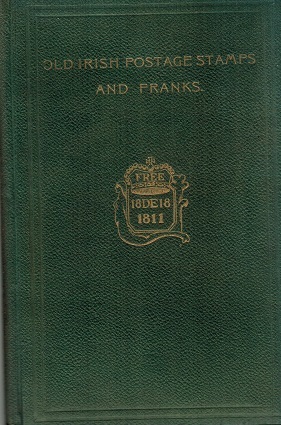 Old Irish Postage stamps and Franks by F.W.Meredith with catalogue priced by Walter Morley. Pub1923/100 pages. 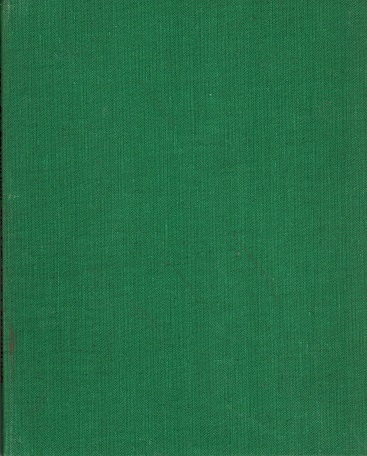 Green leather cover. PAPUA - Lakatoi II & III - Territory of Papua by Hamilton Croaker. 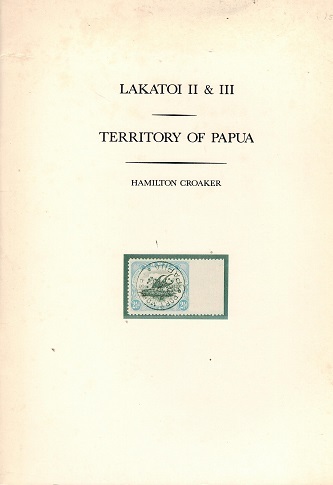 Lakatoi II & III - Territory of Papua by Hamilton Croaker. 54 pages. PAPUA - Lakatoi I - British New Guinea and De La Rue by Hamilton Croaker. 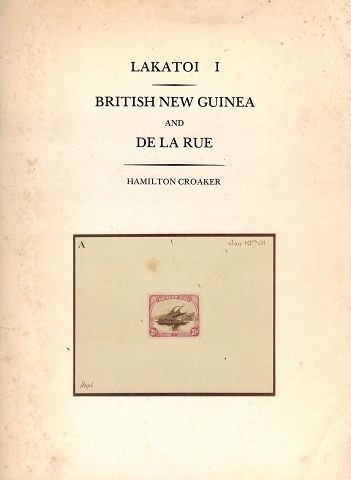 Lakatoi I - British New Guinea and De La Rue by Hamilton Croaker. Pub 1977/28 pages. PAPUA - The Fly River Flights by Norman Haynes. 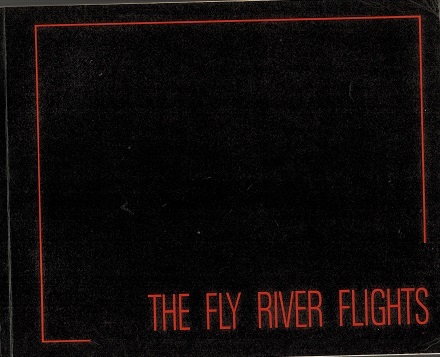 The Fly River Flights by Norman Haynes. Pub 1986. A limited edition of just 100 handbooks printed. This being number 48 and author signed. 185 pages. A scarce book to source. 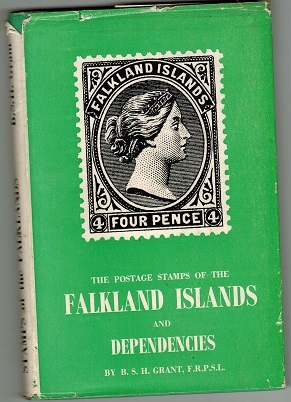 FALKLAND ISLANDS - The Postage Stamps of the Falkland Islands and Dependencies by Grant. The Postage Stamps of the Falkland Islands and Dependencies by Grant. Pub 1952/140 pages. 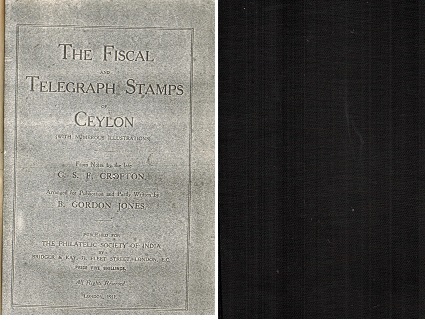 CEYLON - reprinted version of 'The Fiscal and Telegraph stamps of Ceylon' by Crofton. The Fiscal and Telegraph stamps of Ceylon by Crofton and Jones. Pub 1911/146 pages. This is a reprint bound in a black leaved cover. A scarce book to find. CAYMAN ISLANDS - The Cayman Islands Postal History and Postage Stamps by Aguilar. 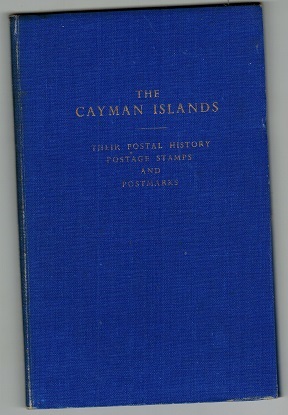 The Cayman Islands Postal History and Postage Stamps by Aguilar and Sainders. Pub 1962/111 pages. 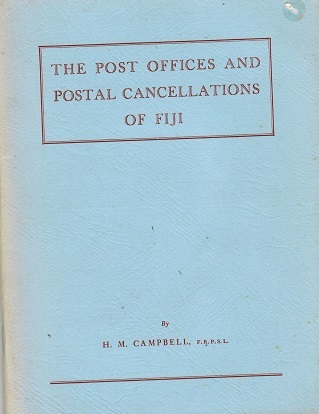 FIJI - The Post Offices and Postal Cancellations of Fiji by Campbell. Pub 1968/56 pages. The Post Offices and Postal Cancellations of Fiji by Campbell. Pub 1968/56 pages. HONG KONG - A study of definitive of KEDWVII and KGV by Halewood and Antscherl. 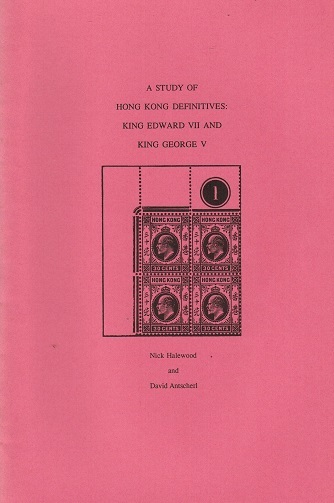 A study of Hong Kong definitives KEDW VII and KGV by A study of Hong Kong definitives KEDW VII and KGV by Nick Halewood and David Antscherl. Pub 1995 by the Hong Kong Study Circle. 86 pages. Very detailed. LITERATURE - The Orange Free State - Pages from a postmark collection by A.G.M.Batten. The Orange Free State - Pages from a postmark collection by A.G.M.Batten. Published 1983/215 pages. This being a signed edition. 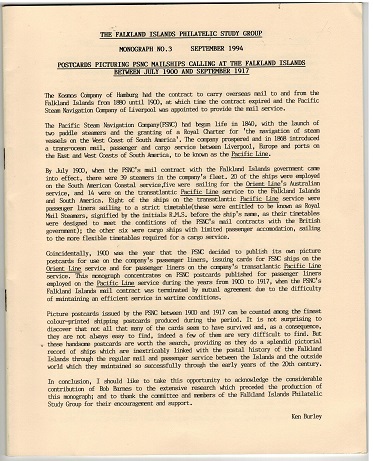 FALKLAND ISLANDS - The Postal Cancellations Of The Falkland Islands by Robert Barnes. The Postal Cancellations Of The Falkland Islands by Robert Barnes. Published 1981/141 pages. 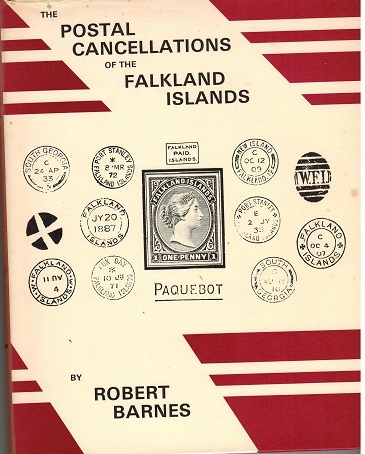 FALKLAND ISLANDS - The Cancellations Of The Falkland Islands by James Andrews. The Cancellations Of The Falkland Islands by James Andrews. Published 1974/56 pages. GREAT BRITAIN - The 1935 Silver Jubilee issue of Great Britain by Alastair Hacket. 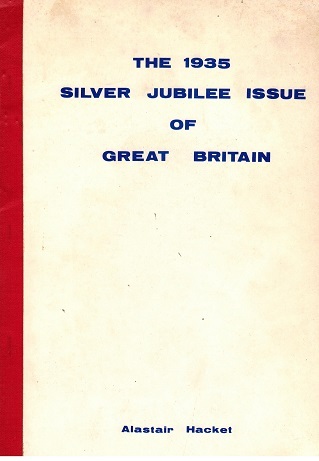 The 1935 Silver Jubilee issue of Great Britain by Alastair Hacket. Pub 1992/52 pages. 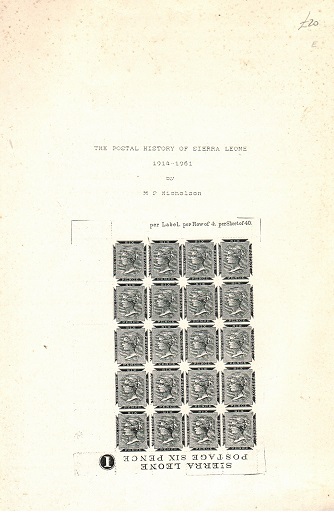 SIERRA LEONE - The Postmarks Of Sierra Leone 1854 to 1961 by F.L.Walton. 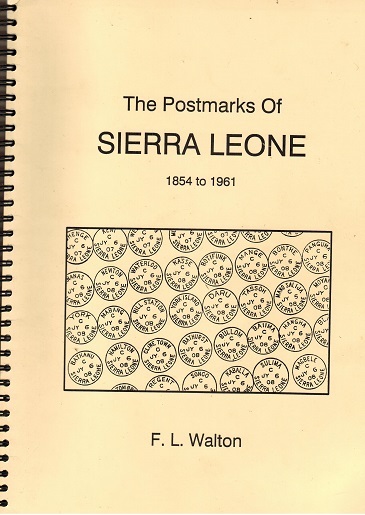 The Postmarks Of Sierra Leone 1854 to 1961 by F.L.Walton. Pub 1990/128 pages. A WASC publication. SIERRA LEONE - The Postal History of Sierra Leone 1914-1961 by M.P.Nicholson. The Postal History of Sierra Leone 1914-1961 by M.P.Nicholson. Pub 1985/50 pages. 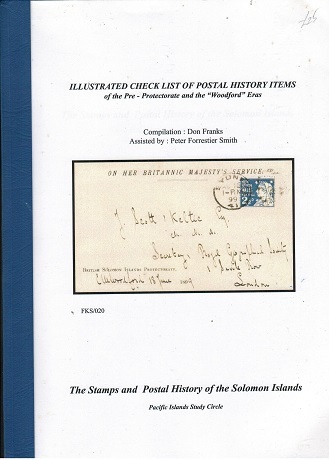 SOLOMON ISLANDS - Illustrated check list of Postal History by Don Franks. Pub 2001/170 pages. Illustrated check list of Postal History by Don Franks. Pub 2001/170 pages. Issued by the Pacific Islands Study Circle. SOLOMON ISLANDS - Cancellation Study of the British Solomon Islands compiled by D.H.Vernon. 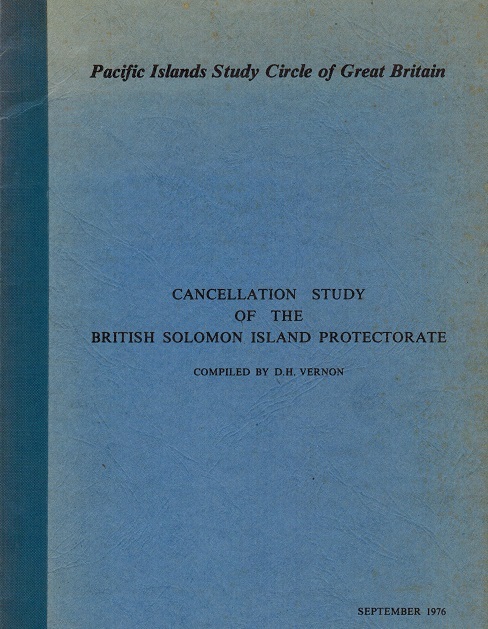 Cancellation Study of the British Solomon Islands compiled by D.H.Vernon. Pub 1976/22 pages. Issued by the Pacific island Study Circle. A little foxing. 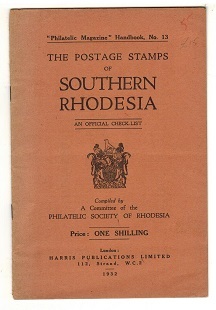 SOUTHERN RHODESIA - The Postage Stamps of Southern Rhodesia official check list (Handbook 13). The Postage Stamps of Southern Rhodesia official check list (Handbook 13) compiled by the Philatelic Society of Rhodesia and available from the Philatelic Magazine. Harris Publication. Pub 1932/12 pages. 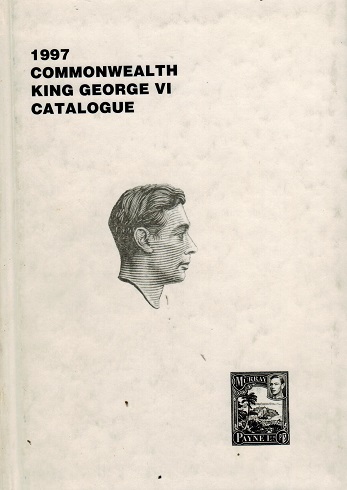 KGVI - 1997 'Commonwealth King George VI Catalogue' issued by Murray Payne. 242 pages. 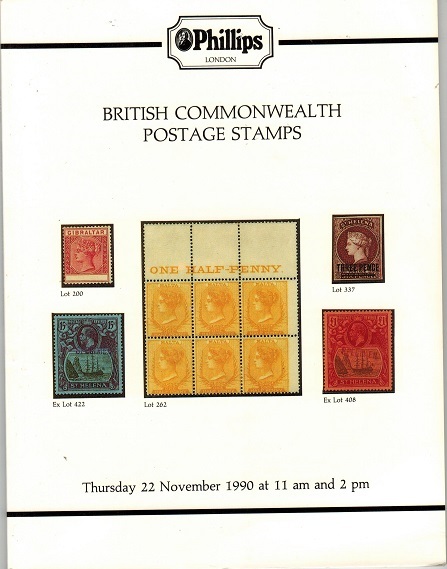 1997 'Commonwealth King George VI Catalogue' issued by Murray Payne. 242 pages. GILBERT AND ELLICE ISLANDS - Cancellation Study by D.H.Vernon published in 1977. 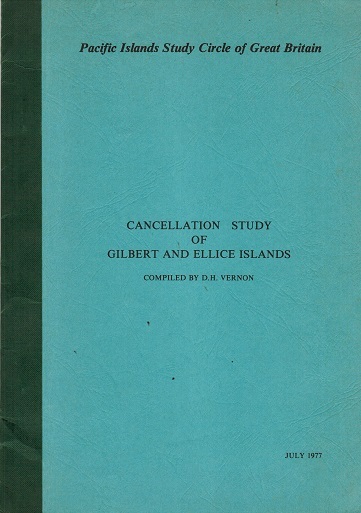 Gilbert and Ellice Islands-Cancellation Study compiled by D.H.Vernon. Published in July 1977 by the Pacific Islands Study Circle. 22 pages. GILBERT AND ELLICE ISLANDS - 1975 Vernon handbook Ammendments. 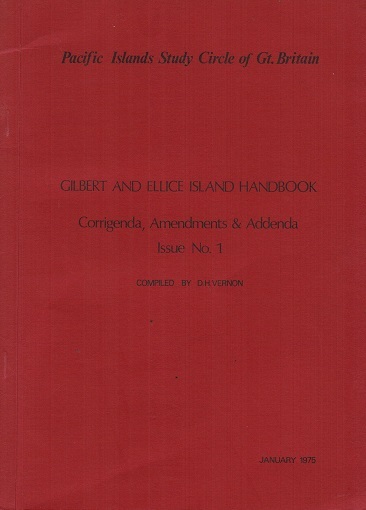 Gilbert and Ellice Islands Handbook-Corrigenda, Ammendments and Addenda - Issue No.1 compiled by D.H.Vernon for his 1973 handbook. Pub January 1975-34 pages plus illustrations. 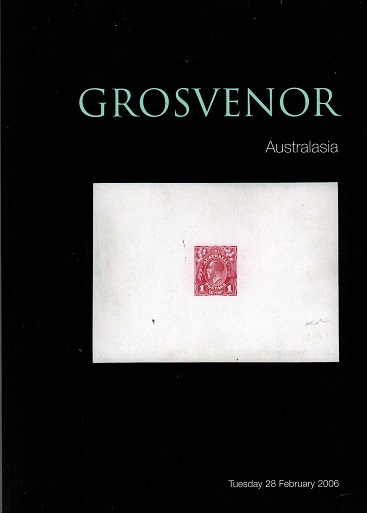 NAURU - The Grosvenor auction catalogue including the Keith Buckingham collection of Nauru. AUSTRALASIA - The Grosvenor auction catalogue for February 28th 2006 including the Nauru collection formed by Keith Buckingham. 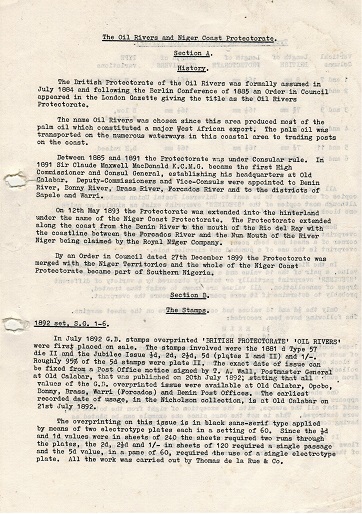 GAMBIA - Harmers auction catalogue for L.V.S.Glover sale. 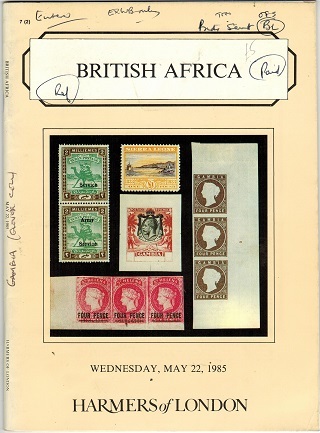 BRITISH AFRICA - Harmers auction catalogue for May 22nd 1985 complete with realisations and including the 'L.V.S.Glover' sale of Gambia. Inludes some manuscript annotations. ST.VINCENT - The Cancellations on St.Vincent 1861-97 by M.N.Louka. 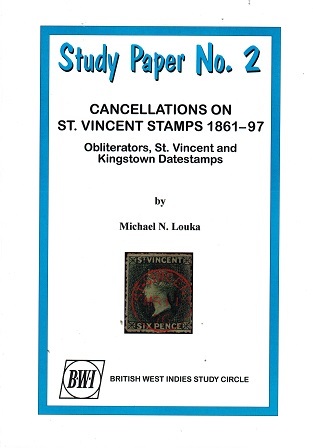 The Cancellations on St.Vincent Stamps 1861-97 by Michael N.Louka. A BWI study circle publication. Study Paper No.2. Pub 2009/44pages. INDIA - British India Postal Stationery by Derek Lang. Published 1997/222 pages. British India Postal Stationery by Derek Lang. Published 1997/222 pages. 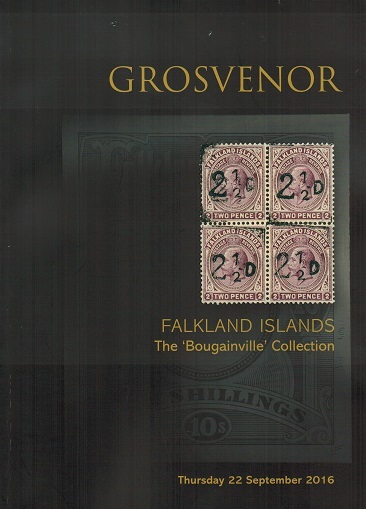 FALKLAND ISLANDS - 2014 'Grosvenor' auction catalogue for the Harry Evans auction. 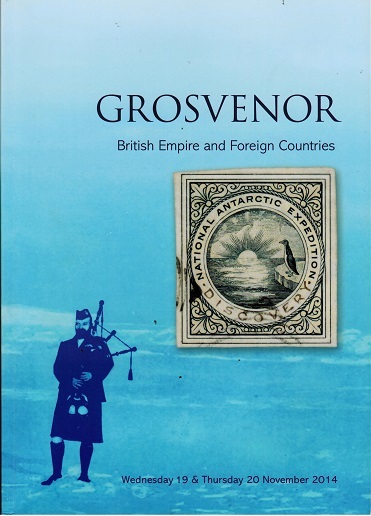 2014 'Grosvenor' auction catalogue containing the superb collection of Harry Evans of Falkland Islands and Antarctica. 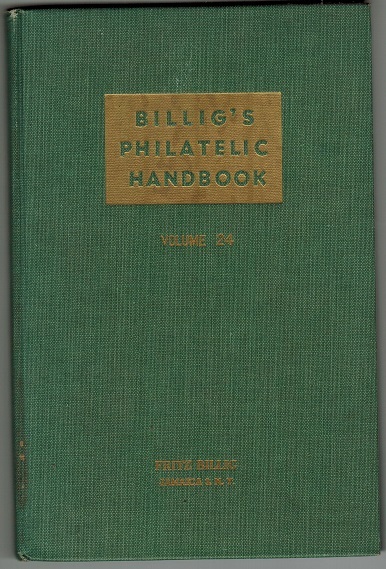 BILLIG'S PHILATELIC HANDBOOK - Volume 24. Published 1955/208 pages. Billig's Philatelic Handbook - Volume 24 covering Japanese scenic postmarks, Norway, Sweden and Album Weeds. Published in 1955/208 pages. Part of a superb informative series. SINGAPORE - Singapore Post Offices and Registration Labels by W.H.Lyons. 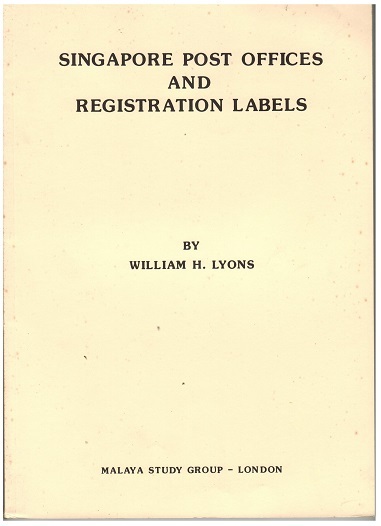 Singapore Post Offices and Registration Labels by William H Lyons. Published 1990 by the Malaya Study Group. 140 pages. Odd tone spotting. HONG KONG - Stamps and covers of Hong Kong auction by Spink. 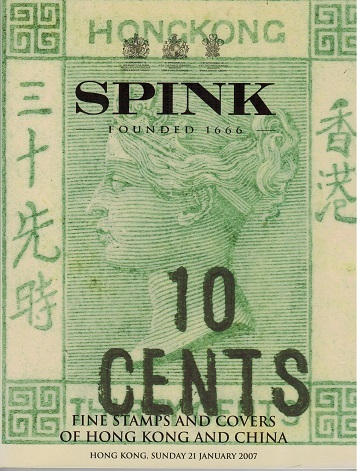 Stamps and covers of Hong Kong and China auction catalogue of Spink for 21st January 2007. Very heavy. HONG KONG - Spink auction catalogue sale of stamps and banknotes of Hong Kong and China. 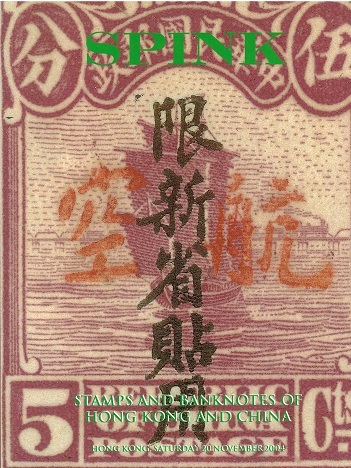 The Stamps and Banknotes of Hong Kong and China - Spink auction catalogue 20th November 2004. Very heavy. ST.HELENA - Auction of Peter Murray's collection. Phillips auction catalogue. Philips Auction catalogue for 22nd November 1990 which included the collection of St.Helena and Tristan formed by Peter Murray. Also includes a section of the P.A.Chantry collection of East Africa. The Bougainville collection Of Falkland Islands. Grosvenor auction catalogue for September 22nd 2016. 63 pages. NIGERIA - The Postal Services Of British Nigeria by Ince and Sacher. Pub 1992/556 pages. 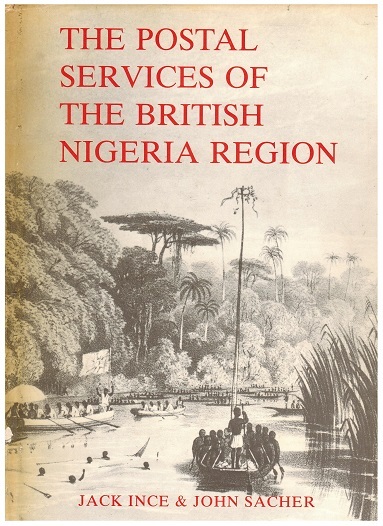 The Postal Services Of The British Nigeria Region by Jack Ince and John sacher published in 1992 by the R.P.S. 556 pages well illustrated and an in depth study. A superb work. Very heavy. SIERRA LEONE - Sierra Leone by P.O.Beale. 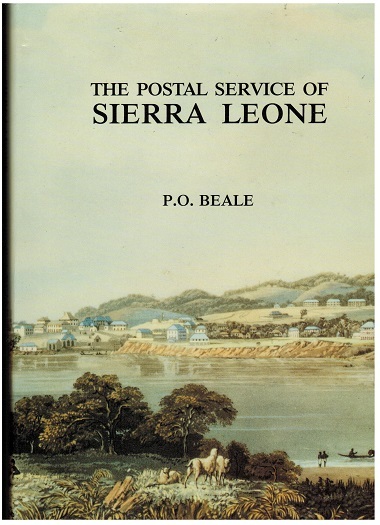 The Postal Service of Sierra Leone by P.O.Beale. Published 1988 by the RPS. 240 pages. The 'bible' of Sierra Leone. This being a signed edition. 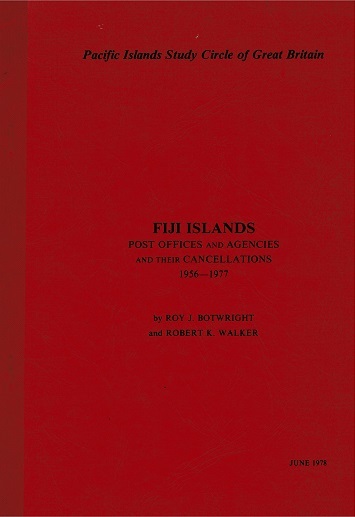 FIJI - The Post Offices and Agencies Cancellations 1956-77 by Roy J Botwright. The Pacific Islands Study Circle monogram of the 'Fiji Islands-Post Offices and Agencies cancellations from 1956-1977' by Roy J.Botwright. Published in 1978. 32 pages. FIJI - Philatelic Society of Fiji monogram on 'Registration Labels' by P.Rodda. 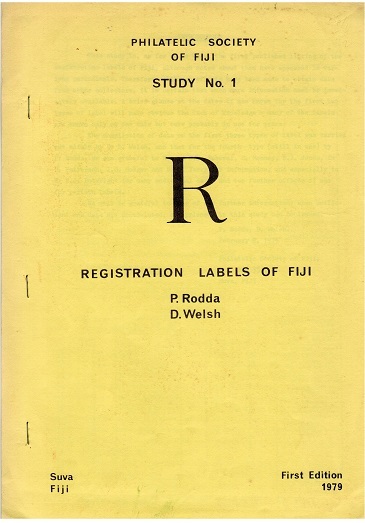 1979 first edition of the 'Registration Labels of Fiji' by the Philatelic Society of Fiji published in 1979. 10 pages. 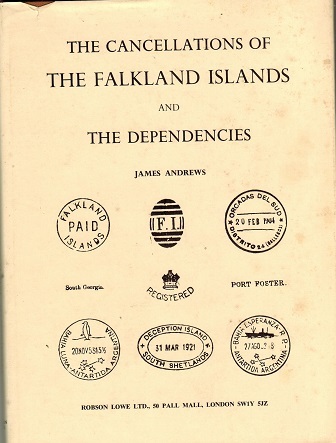 FALKLAND ISLANDS - The Postal History of the Dependencies by Richard Bagshawe. 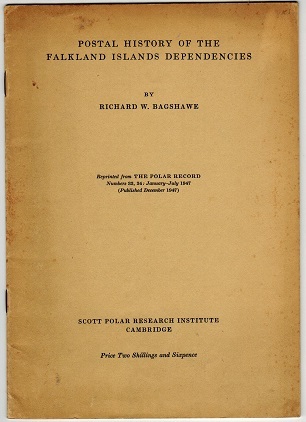 1947 publication by the Scott Polar Research Institute of the 'Postal History of the Falkland Islands Dependencies' by Richard W.Bagshaw. 59 pages. 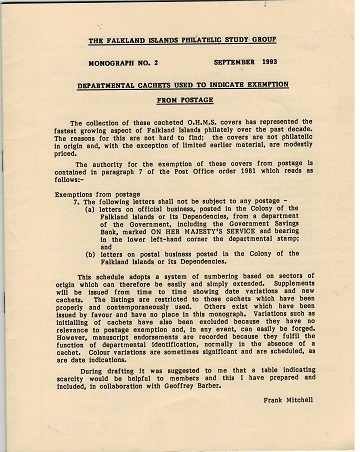 FALKLAND ISLANDS - Departmental Cachets used to indicate exemption from postage by Frank Mitchell. 1993 Falkland Islands Study Group monogram on 'Departmental Cachets used to indicate exemption from postage' by Frank Mitchell. 31 pages. FALKLAND ISLANDS - Postcards picturing mail ships calling at the Falkland Islands. 1994 Falkland Islands Study Group monogram on picture postcards featuring mail ships calling at Falkland islands between 1900 and 1917. 35 pages. 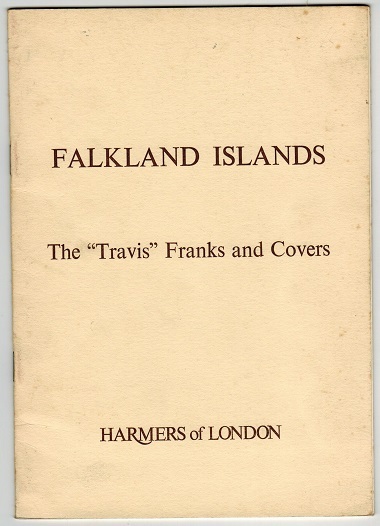 FALKLAND ISLANDS - The Travis Franks and Covers by Norris. 1977 'The Travis Franks and Covers' by Norris. Published by Harmers. 27 pages. FALKLAND ISLANDS - South Georgia Provisionals by H.A.Osborne. 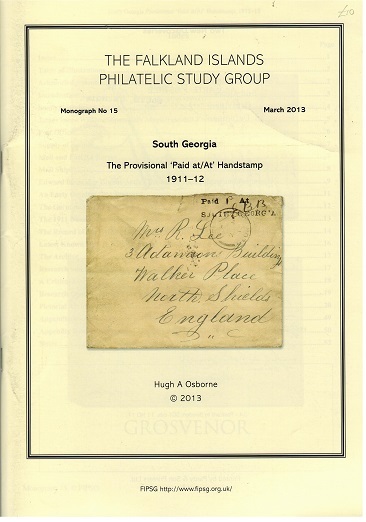 2013 Falkland Islands Study Group monogram on the South Georgia Provisionals by H.A.Osborne. 52 pages. 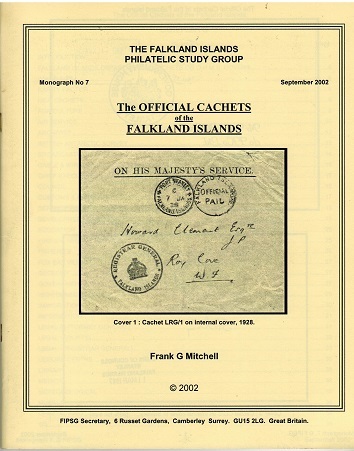 FALKLAND ISLANDS - The Official Cachets by F.G.Mitchell. 2002 Falkland Islands Study Group monogram on the 'Official Cachets of the Falkland Islands' by F.G.Mitchell. 66 pages. 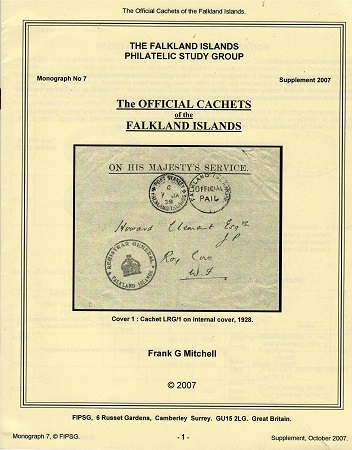 FALKLAND ISLANDS - Supplement to the 'The Official Cachets' monogram by F.G.Mitchell. 2007 Falkland Islands Study Group supplement monogram on the 'Official Cachets of the Falkland Islands' by F.G.Mitchell. 16 pages. 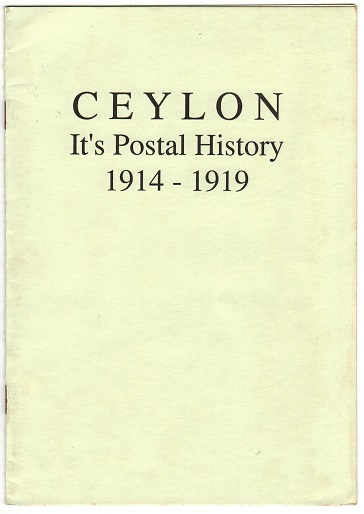 CEYLON - 'IT'S POSTAL HISTORY 1914-19' by Entwistle. 'IT'S POSTAL HISTORY 1914-19' covering World War censorship, soldiers and Naval mails, Martial Law and POW and Internee Mails. 12 pages but useful and with price guide. Published by C & A Entwistle. HONG KONG - Range of 85 society journals. 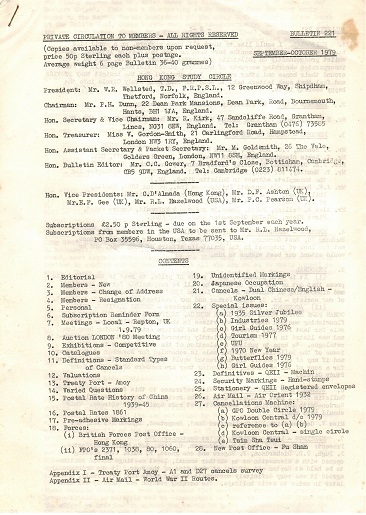 Range of 'Hong Kong Study Circle' journals from No.221 (Sep 1979) to No.245 (Oct 1983), No.246 (Jan 1884) to No.258 (June 1986) plus No.287 (Oct 1993) to No.334 (June 2005). 85 editions full of information. A heavy lot. 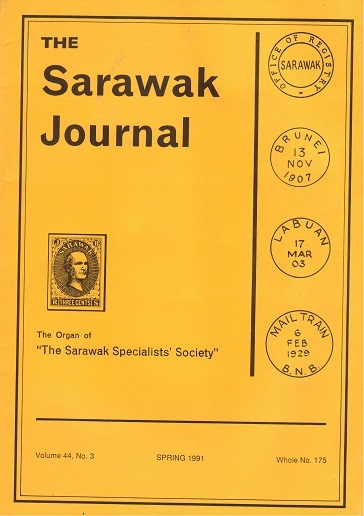 SARAWAK - Range of 58 society journals. Range of Sudan Society journals from No.175 (Spring 1991) to No.233 (Nov 2005). 58 Editions full of information. A very heavy lot and unsuitable for dispatch overseas. GENERAL LITERATURE (King George VI) - Range of 52 study circle journals. 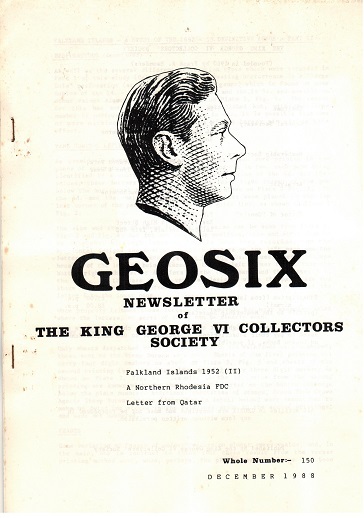 KING GEORGE VI - Range of 'KGVI' society journals from No.150 (Dec 1988) to No.202 (Dec 2001). 52 editions full of information. Very heavy and unsuitable for dispatch overseas. SUDAN - Range of 35 Sudan Study Society journals. Range of Sudan Society journals from No.43 (Spring 1991) to No.75 (Summer 2005). 35 Editions full of information. Very heavy lot unsuitable for sending abroad. FALKLAND ISLANDS - Range of 48 society journals. 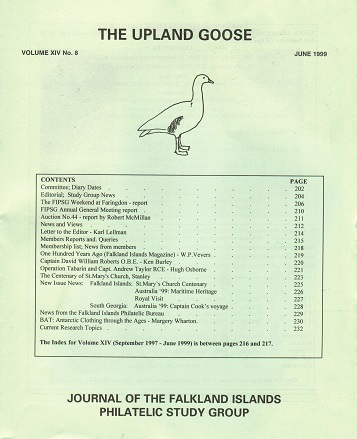 Range of 'Upland Goose' Falkland Island society journals from Vol XII No.1 (Sep 1993) to Vol XVII No.8 (June 2005). 48 editions packed with information. Heavy lot and unsuitable for overseas delivery. ST.HELENA - Society Journals 11-39. 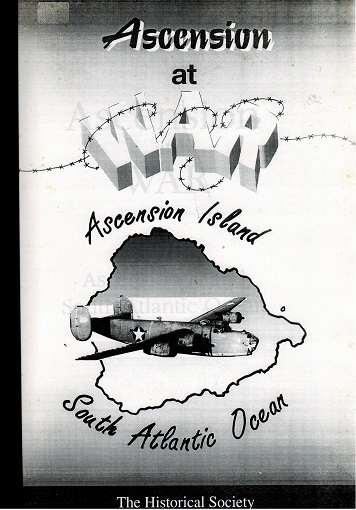 The Saint Helena/Ascension Supplement editions to the WASC edited by Roger West. Edition Numbers 11-39. Issued around the mid 1980's. Packed with useful information. 29 journals. Very heavy and unsuitable for sending overseas. 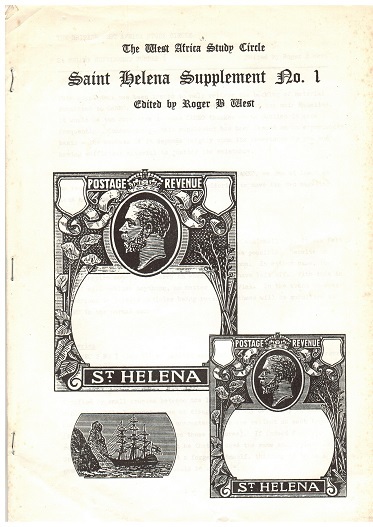 ST.HELENA - The Saint Helena Journals Number 1-6. 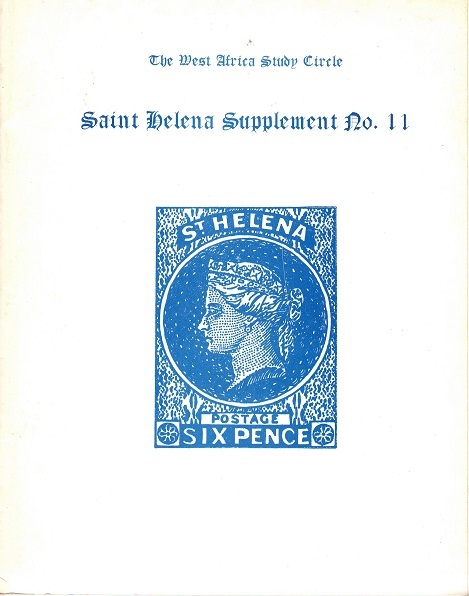 The Saint Helena Supplement editions to the WASC edited by Roger West. Edition Number 1-6. Issued around the mid 1980's. Packed with useful information. 6 journals. GENERAL LITERATURE - 1935 Silver Jubilee Study Circle journals No.2-16. 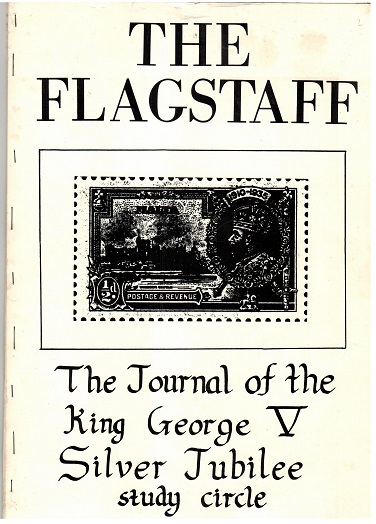 The Flagstaff - (Journal of the KGV Silver Jubilee Study Circle). Editions Number 2-16 inclusive. Issued late 1980's and a wealth of information. 15 journals. Heavy and unsuitable for delivery overseas. 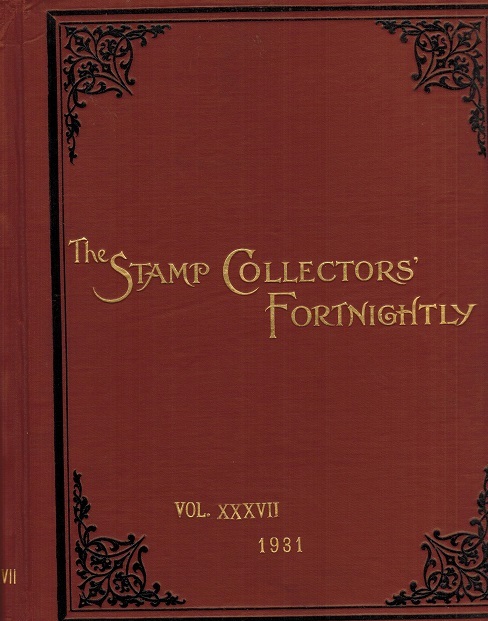 GENERAL LITERATURE - 'The Stamp Collectors Fortnightly' bound edition of Vol. XXXVII of 1931. 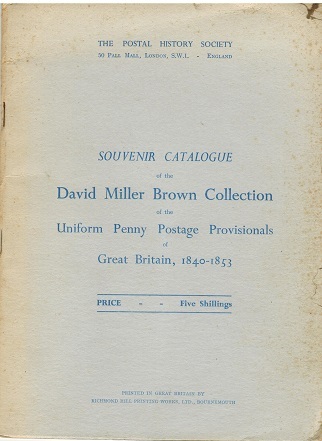 'The Stamp Collectors Fortnightly' bound edition of Volume XXXVII of 1931 covering numbers 935-960 from January to December of that year. 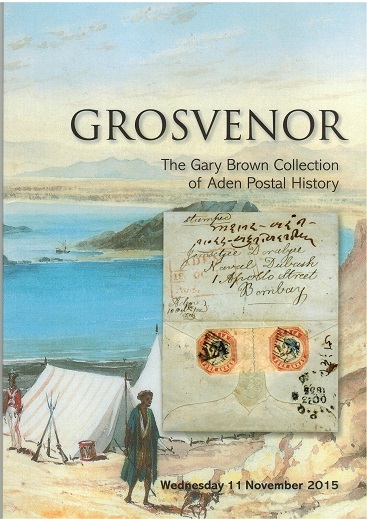 ADEN - The Gary Brown collection of Aden sold by Grosvenor Auctions on Nov 11th 2015. The Gary Brown collection of Aden auction catalogue of Grosvenor Auctions on November 11th 2015. Complete with realisations. GREAT BRITAIN - The Handstruck Postage Stamps of 1840 from the David Miller Brown Collection. 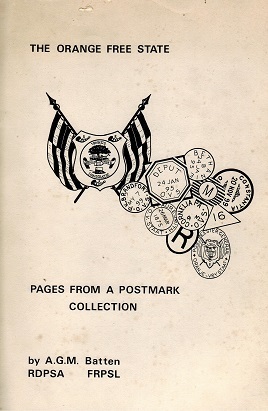 The handstruck Postage Stamps of 1840 published by the Postal History Society in 1948 and issued in this souvenir catalogue. 32 pages. 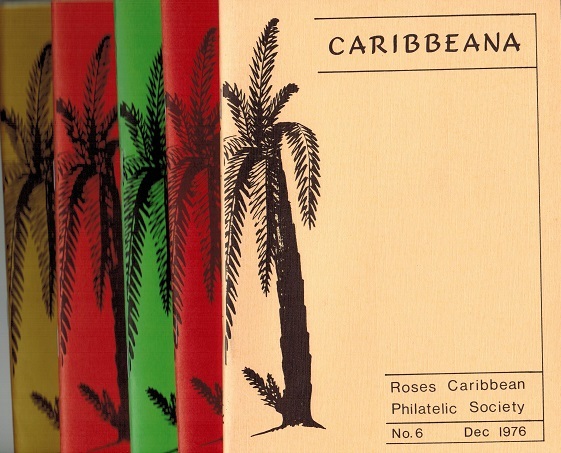 GENERAL LITERATURE (BWI) - 'Roses Caribbean Philatelic Society' magazines (No.6,7,8,9 and 11). Roses Caribbean Philatelic Society magazines (Numbers 6-9 plus 11) from Dec 1976 to September 1982. The Society was formed by G.G. Ritchie. 5 handbooks. Around 36 pages in each. GREAT BRITAIN - 1975 publication of 'John Dickinson and his Silk Paper Tread' handbook. 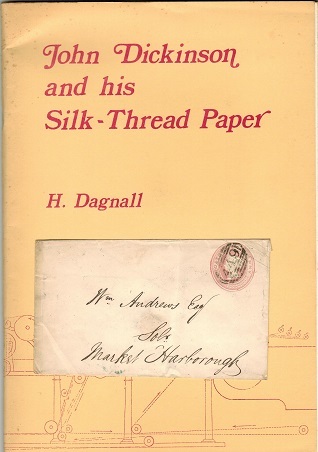 1975 publication of 'John Dickinson and his Silk Paper Tread' handbook. 32 pages and with a GB 1d pink on cream postal stationery envelope showing the thread lines on reverse side. GREECE - Hellas 2010 catalogues - Volume 1+2. Wealth of information. 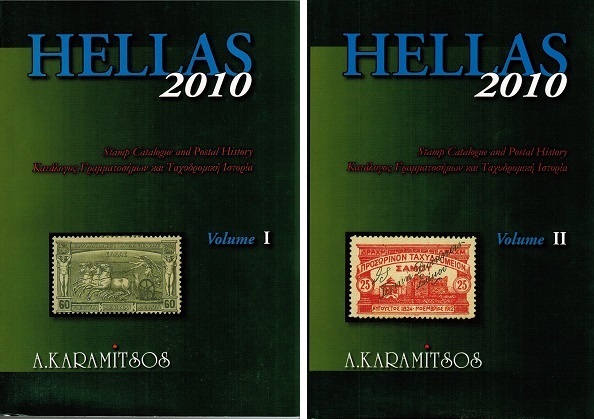 Hellas 2010 catalogues - Volume 1 and 2. Covers stamps and postal history in depth. Vol 1 550 pages and Vol 2 340 pages. All in colour. BECHUANALAND - 1971 H.R.Holmes handbook published by the RPS. 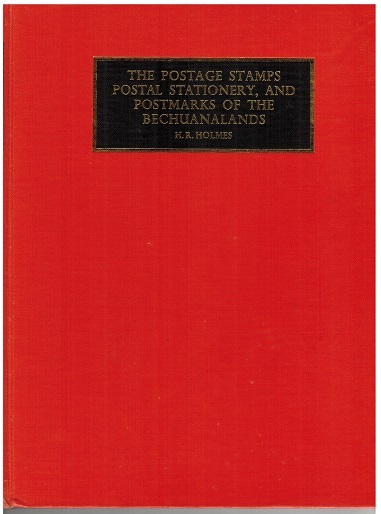 The Postage Stamps, Postal Stationery and Postmarks of the Bechuanalands by H.R.Holmes. Published by the RPS in 1971. 189 pages. GREAT BRITAIN - 2004 'Sir Gawaine Baillie' collection of GB. 2004 (SEP 29/30-Oct 1.) 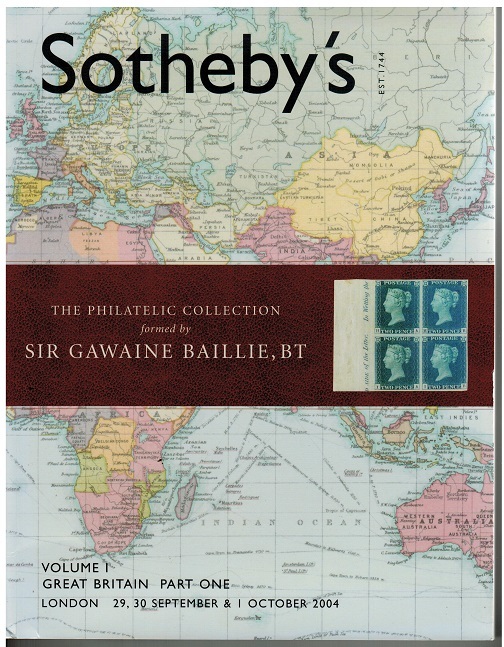 Sotheby's auction catalogue of the Part One of the Sir Gawaine Baille's collection of Great Britain. Stunning material. Heavy. 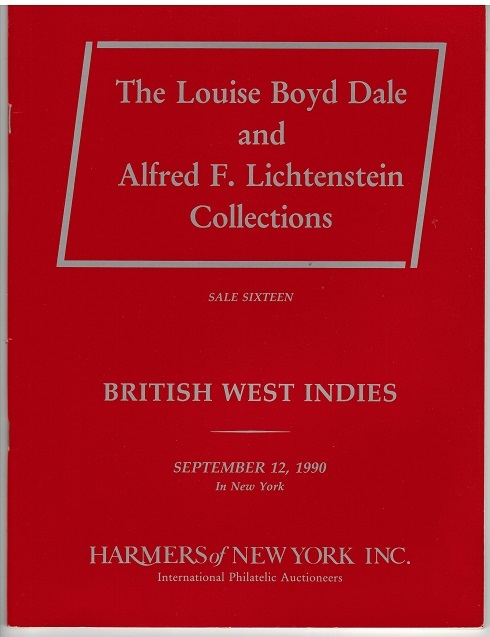 GENERAL LITERATURE - 1990 'Dale Lichtenstein' Harmers auctions catalogue of British West Indies. 1990 (SEP.12.) 'Dale Lichtenstein' Harmers of New York auction catalogue for British West Indies. Sale 16. 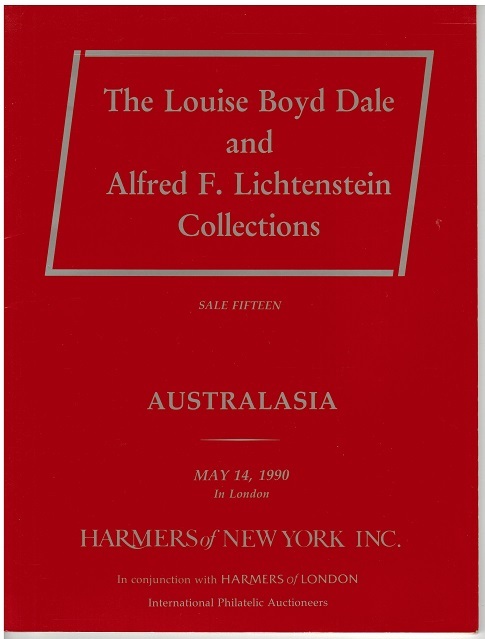 GENERAL LITERATURE - 1990 'Dale Lichtenstein' Harmers auctions catalogue of Australasia. 1990 (MAY.14.) 'Dale Lichtenstein' Harmers Of New York auction catalogue for Australasia. Sale 15. Complete with realisations. BAHAWALPUR - 1950 (circa) Official handbook and postage stamp album. 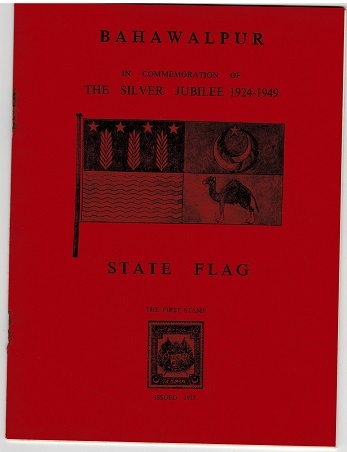 1950 Official 'Bahawalpur' handbook/album giving information about the State and its stamps with illustrations. Issued by his Royal Highness to promote his states stamps. Places for the issued stamps to be affixed inside the album. Few faults to page edges but an unusual item and unused. SUDAN - The Postal Markings 1867-1970 by Stagg. Sudan - The Postal Markings 1867-1970 by E.C.W.Stagg. A superb handbook published 1974/196 pages. 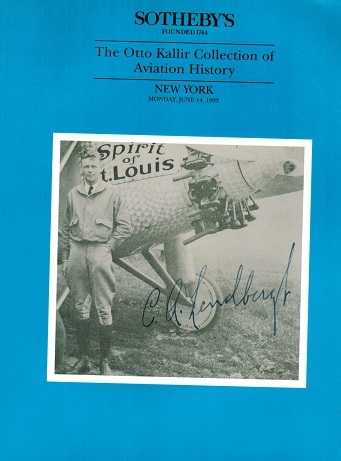 The Otto Kallir Collection Of Aviation History. Sotherby's auction catalogue in New York of June 14th 1993.